Oy, 600 miles of Texas to go yet… and then there will be New Mexico. This is the dullest part of the whole country as far as I’m concerned. We’ve been trying not to make this a repeat of last year’s journey, but that is proving to be difficult at this point. We want to stay on the Interstate with our big rig so that does limit our options. Last year we spent a few days in Luling, Texas. We enjoyed it very much, saw lots of things and took lots of pictures. This time we just made it a pit stop at noon, and then went on our way. 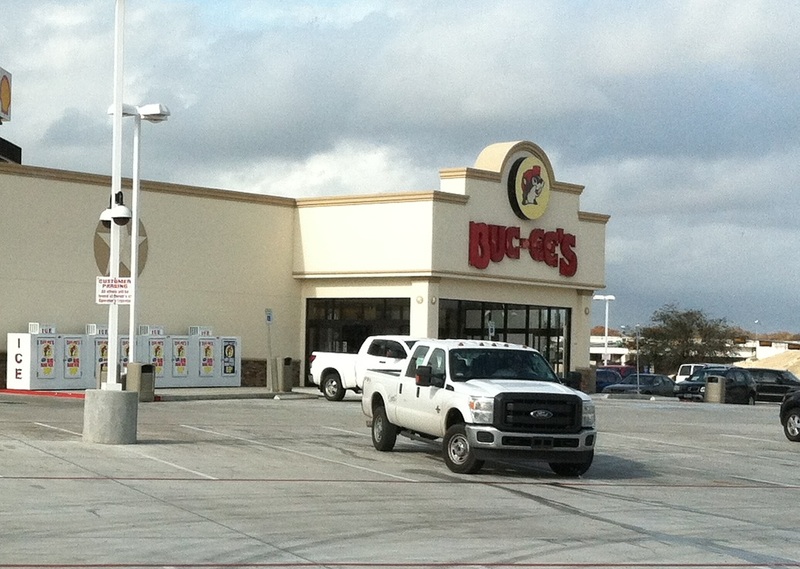 We just had to stop at Buck-ee’s and stock up on overpriced tourist snacks. 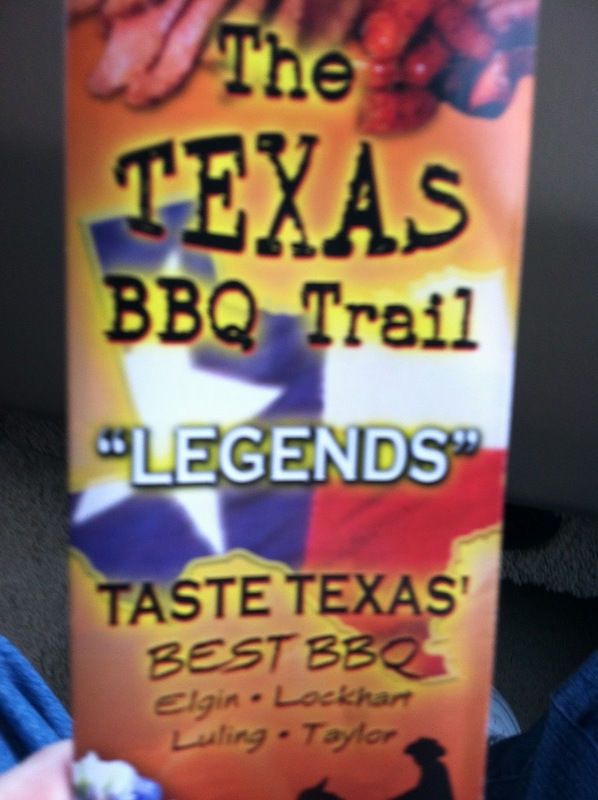 Then we took the car in to town and had lunch at City Market, which is one of the recommended Barbecue joints on The Texas BBQ Trail. Good stuff! Luling was once known as “The Toughest Town in Texas”. It’s an old oil town, actually still is an oil town and you can smell the oil everywhere all the time. But not inside the restaurant, thank goodness!! the town has decorated up. Tonight we are in Kerrville, Texas.